polka & bloom: Win Polka & Bloom patterns at The Making Spot! 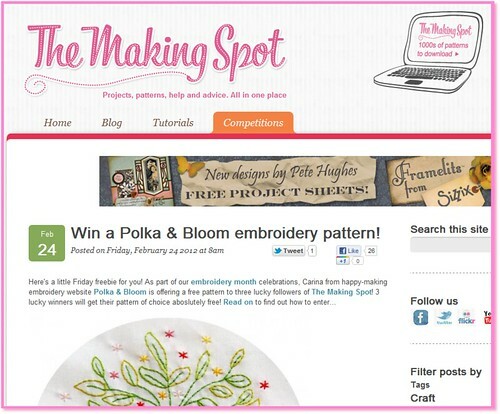 Win Polka & Bloom patterns at The Making Spot! Hey! Visit The Making Spot blog to win Polka & Bloom patterns! Three patterns are up for grabs, so go over there and throw in your lot! The Making Spot is a fun resource for crafty patterns and tutorials, check it out!